In many ways, retail businesses are the backbone of the U.S. economy. Despite the rise of e-commerce over the past decade or so, millions of Americans still do their shopping at good old-fashioned retail stores — whether locally owned “mom-and-pop” businesses or national and big-box retail chains like major department stores, home improvement retailers and furniture stores. One of the biggest decisions the owner or CEO of any retail business will ultimately face is whether to move forward with retail expansion — and if so, how to execute a retail expansion plan. Many successful retailers have gotten into trouble by not thinking through all the factors involved in retail expansion. For example, they have expanded too rapidly, expanded in the wrong geographic areas or expanded with the wrong products or services. The startup costs for a new retail outlet can be huge, resulting in a significant cash drain on the business. Management attention can be diverted away from the core business during the expansion, which can lead to poor results at the original store location. There may be logistical challenges involved in opening a new location, such as supplying inventory to the store. The new store can end up pulling business away from the original location, which can jeopardize the viability of the flagship store. The startup costs and initial cash outlay required to open the new location can end up “starving” other parts of the business. Production facilities and vendors may not be able to meet the inventory needs of the new location. The existing delivery and distribution systems and channels may not be able to accommodate the additional volume required to support the new store. Also, if the new retail location is not sized properly from a cost perspective, the venture could end up being a losing proposition. For example, a new store could enjoy higher than average revenue, but higher costs in the new location could offset this, resulting in eventual losses for the business. In the role of a part-time CFO or project CFO, a former enterprise CFO can help you devise an effective expansion strategy for your retail business that avoids these and other pitfalls. This high-level financial professional will have the proper tools and expertise to accurately estimate a new store location’s potential return on investment before you commit major resources to the expansion effort. In addition, he or she can provide an overall estimate of the entire cost of the expansion — including both startup costs and additional functional support that will be required. 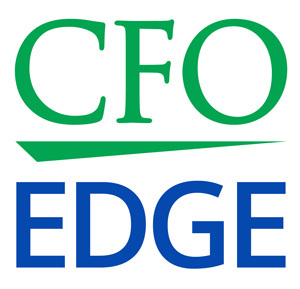 A CFO services professional can also obtain the best possible terms for a business line of credit if one is required to help fund the expansion effort. And a seasoned CFO will have hands-on experience in all the different areas where knowledge and expertise are required to open a new retail store. This includes things like selecting the right location, negotiating the most favorable lease terms, understanding the permitting process and gauging the cost structure in the new location. You will be able to open new retail locations with minimal disruption to your original store and your current business model. New locations will get up and running faster, with fewer delays, thus contributing positively to your bottom line sooner. The production, planning and accounting infrastructure will be in place much sooner, so the opening of the new store happens seamlessly. The cost structure of the new location will be properly sized in proportion to the revenue the store generates, thus helping ensure profitability. One of the biggest decisions retail businesses must make is whether to expand — and if so, how to execute an expansion plan. Many successful retailers have gotten into trouble by not thinking through all the factors involved in expansion. Therefore, it’s critical to develop a well-planned strategy before embarking on a retail business expansion. A CFO services professional can help you devise an effective expansion strategy that results in many positive outcomes for your retail business.